Should I Hire A Caregiver? The dictionary defines a caregiver as “a person who cares for someone who is sick or disabled.” Pretty straightforward, but as you read this guide, you’ll discover how “caregiver” is used as an umbrella term to include many types of workers, roles, and functions. Through this guide, you’ll learn about the different types of caregivers, their responsibilities, how to find the best caregiver for your needs, as well available payment options. Unlike nurses who primarily provide medical care, caregivers provide help with activities of daily living as well as companionship. Caregivers do not have to be professionals but can be a parent, a child, a family relative, or a professional caregiver like a registered nurse. With each type of caregiver, there will be a difference in expectations, duties, and responsibilities concerning the patient. For instance, while we can expect hired help to be available around the clock for the patient’s needs, we should not expect the same from a neighbor or a child. Similarly, it might be hard for older children and spouses to be around all the time because of work or school commitments. Many of us are familiar with our sense of duty as a family member or relative to a person in need, albeit each situation is different. Therefore our guide will focus on professional caregiving in its many varieties. However, the duties and responsibilities mentioned in this guide are also applicable to family members who are taking on the role of caregiving for the loved one in need. In the case of hired helpers, the term “caregiver” can refer to multiple professions. The caregiving category includes professionals such as registered nurses (RNs), home health assistants (HHAs), certified nursing assistants (CNAs), personal caregivers, and more. Hired caretakers are generally better equipped to handle tough situations when taking care of the elderly because of education (though not always) and experience. Some are also state-certified, which can bring peace of mind to family members of the senior in need. Also known as non-medical caregivers, these workers, apart from basic knowledge, are not required to have a background in medical education. Many states do not require non-skilled caregivers to pass any state exams, but some states will require caregiving agencies to register and train their caregivers. This is to ensure that workers are fully aware of their responsibilities and that elder abuse is curbed. Check your state’s caregiving regulations to see what is required in your local region. Non-skilled caregivers are primarily focused on taking care of the individual’s basic needs in daily living. These caregivers will primarily assist in activities of daily living such as preparing meals, feeding, dressing, grooming, bathing, and other tasks. Non-skilled caregivers include the category of personal care assistants (PCAs), home care aides, or custodial care assistants. This broad category can also include family members, volunteers, relatives, and friends who are taking care of their loved one. Non-skilled caregivers can also include those who volunteer their services in senior homes or those who work with a professional caregiving agency. They can be hired as private help for a family needing assistance for their loved one or serve as personal caretakers or companions. Unlike non-medical caregivers, medical or skilled caregivers will have a background in medical education. The skilled caregiver category includes professionals such as certified nursing assistants (CNAs), home health assistants (HHAs), registered nurses (RNs), and licensed practical nurses (LPNs). Skilled caregivers can perform a number of functions that require more medical skill and expertise than a non-skilled caregiver. For example, skilled caregivers would be able to administer doses of medication, dress wounds, give injections, or measure vital signs, whereas a non-skilled caregiver will not be able to perform these tasks. 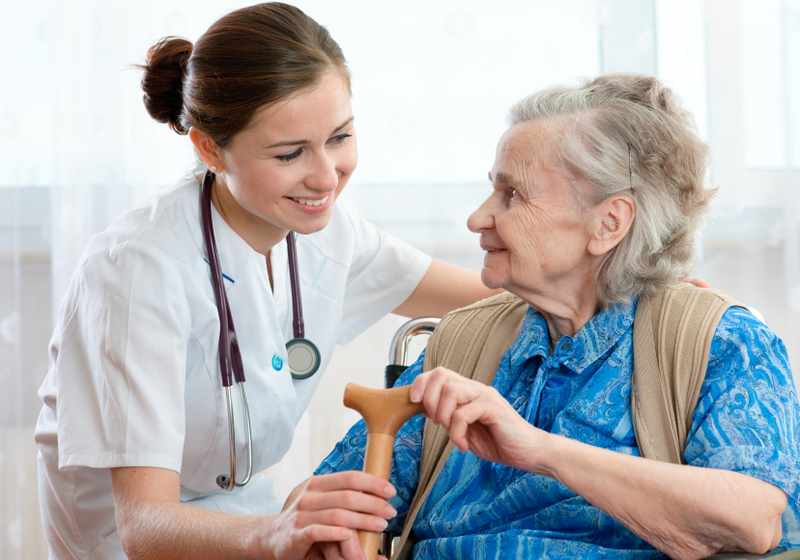 Skilled caregivers have to meet certain requirements for their profession and although each state has differing requirements, it generally includes a certain level of education and a set number of hours in training, which can be as many as 75 to 120 hours for certified nursing assistants (CNAs). 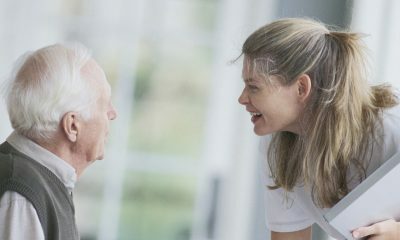 Caregivers can have many different responsibilities, but they generally fall under the category of personal care in the activities of daily living and medical assistance. When hiring a caregiver for the first time, it’s helpful to know what you can expect from your helper and what roles they are able to fulfill. Although different caregivers will have different abilities, the general responsibilities and duties of a caregiving helper will be the same. Here are just a few. Medication Management: While it might seem obvious that the caretaker will also be managing medication, this may not be the case. This is why it is important to check the credentials of your caretaker and know what responsibilities they are able to administer. Personal care assistant (PCA), for example, will not be able to handle or dispense medication. In some states, even certified nursing assistants (CNAs) cannot handle prescription drugs. In these restricted states , you will need a registered nurse or a home health assistant to perform this task. Dress wounds or change dressings: Personal care assistants are also not allowed to perform any medical procedures on the person in care. Since they are not certified, personal care assistants will not be able to dress wounds or change dressings for their person in care. General health advice: Only certain skilled caregivers can advise on managing an illness or preventative care for the medical issue. These caregivers will have medical knowledge of elderly health, so they will be able to advise on conditions such as itchy skin, fatigue, muscle ache, etc. Skilled caregivers will be able to detect when a medical issue is serious to take necessary action. Personal care assistants (PCAs) or certified nurse assistants (CNAs), on the other hand, cannot. Caretakers have an important duty to track the progression of any Illness and health conditions that may change over time. Any changes that take place in a person’s health would result in treatment changes as well. Serious diseases such as dementia and Alzheimer’s can worsen over time, and it is especially important to take note of any symptoms of progression during the period of care so that the proper treatment is administered. 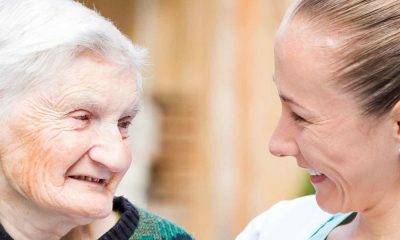 Whether they are skilled or unskilled caretakers, it is essential that one keeps a close watch on the health condition of the person in care. Caregivers should take notes and report any new symptoms or relevant information to family members, guardians, and doctors. Whatever their health condition, seniors are encouraged to go outside, whether it’s to visit family members, the grocery store, or even the doctor. However, because of their condition, transportations is not always accessible and it takes a bit of work to help an elderly person travel. Because of cognitive decline, memory problems, slower reaction times, and other issues, seniors needs help traveling from place to place. Caregivers can fulfill this role in helping an elderly person with their mobility and in accessing transportation. Caregivers should know how to transfer the person from their wheelchair to the car, from the wheelchair to the bed, or from the bed to the restroom and so forth. At a certain age, mobility issues can increase the risks of a fall or injury. Family members, loved ones, or guardians should be aware of any obstructions to mobility within the home and take the necessary action to remove them. Caregivers should have the training to help in the case of an accident, fall, or injury. Caregivers are also in charge of helping seniors maintain their health and nutrition through a proper diet. Workers will be responsible for feeding the person, as well as cooking and preparing meals according to the senior’s diet and health. Many elderly men and women have dietary restrictions such as lowered sodium intakes, allergies, or specified foods they need to eat or omit in their daily diet. Caregivers should be aware of following special diets in the case of nutritional deficiency. If the care recipient lives alone and is immobile, then the caregiver will need to shop for groceries for the individual’s meals. Family members and loved ones of the care recipient can arrange and budget for any groceries the caregiver will need to shop for. Caregivers will primarily be in charge of cooking and feeding the senior any meals they make. Cooking is one of the activities of daily living (ADLs) that many elderly people need help with. Those who are unable to feed themselves will also need caregivers to perform this task. Personal care includes tasks such as bathing, dressing, grooming, and toileting. As a person ages, simple tasks such changing clothes can be difficult because of mobility or physical limitations. Some many not even vocalise their need for help with these tasks which may result in skipping the task altogether. Overlooking such basic needs and the feelings of powerlessness can lead to a lower quality of life, and increase a senior’s susceptibility to depression. Personal caregivers can help increase a person’s quality of life by providing these basic services and help maintain a senior’s sense of dignity as their bodies change. Other areas where a caregiver can provide support include brushing teeth, cutting nails, shaving, and ensuring that there are plenty of clean clothes, toiletries, and medical supplies at hand. 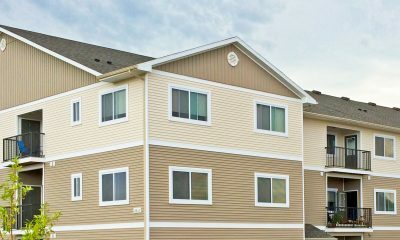 General housekeeping includes tasks such as changing and washing the linens, making sure the bedroom, bathroom, and areas of the home are clean and clutter free. Small objects lying on the floor can increase the risk of injury and falls because they can be easy to overlook. Any obstructed areas should be rearranged for easy mobility for the senior. Caregivers will need to be extra cautious to maintain a home that has clear pathways and is clutter free to ensure the senior’s safety. Caregivers will need to take out trash and keeping the bathroom, kitchen, and general living spaces clean if the care recipient lives independently. If the home has a second floor or a flight of stairs, caregivers will need to know how to help the senior access each level of the home. These tasks are important and necessary for creating a safe home environment for the senior. In the case of an emergency, the caregiver will need to know the appropriate actions to take. You can also help out the caregiver plan and incorporate certain hobbies, creative activities, and other events as they get to know the care recipient. Caregivers should assume the role of one who provides comfort and company for your loved one. It’s important that the caregiver regularly converses and engages with the person in care to keep their spirits up. Caregivers need to be compassionate, considerate, and patient as they listens to their care recipients, play games with them, go on outings, and other activities that the recipient enjoys. This can greatly improve the quality of life and mental health for the senior. Unfortunately, as many people age, many people struggle with the feelings of isolation and disconnection from society, which increases the likelihood of senior depression and causes a negative impact on their health. The elderly are often a marginalized community that depend on help from others to enjoy a meaningful social lives. For this reason alone, caregivers must be willing to provide the social support to encourage and motivate their senior care recipients. If you notice your senior loved on is having trouble with simple daily tasks such as preparing meals or dressing themselves, it is a confirmation that finding a caregiver will be necessary. Basic tasks and functions such as eating healthy food, walking, bathing, are all essential for a good quality of life , and your loved one may not even notice their deteriorating functions (they may even forgo these activities all together). Subtle changes such as a forgetting to stock the refrigerator with food, forgoing cleaning the home, or not grooming themselves can all be signs that your loved one needs help. Ask how your loved one is managing their finances, their calendar, and getting around. If your loved one has trouble with any of these issues, take note and be mindful of what sort of help is needed. One way to understand your loved one’s physical and mental capacities is to set an appointment with the family physician to perform an evaluation. Another sign to look for is increased loneliness, anxiety, and depression. If you notice that your loved one is acting differently, more irritable, or are exhibiting signs of stress and anxiety because of the lack of social support, it may be time to find help through companionship. Senior who are alone, don’t go out much, and have stopped talking, could be severely depressed. Depression has extremely negative effects on the physical and mental health of an elderly person. Forgetfulness is often attributed to old age or senility, but when there are incidents of significant memory issues, you need to take note and consider getting help. Forgetting the time of your doctor’s appointment and remembering it later on is normal. 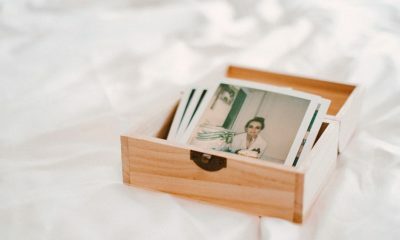 But forgetting your name, what day it is, or recent repeated conversations can be an indicator of memory loss diseases such as dementia or Alzheimer’s. Your loved ones might forget important details such as how much medication to take or retake their medication more than once, which can endanger their health. In any case, take note of what your senior loved ones are struggling with and need help with in order to improve their quality of life. Ask yourself questions to gauge what kind of support is needed, whether skilled caregiving or non-skilled caregiving is needed. Does your loved one need some medical support or do they need help with completing basic tasks like showering? Do they need 24/7 supervision as provided in a nursing home? Or are they independent enough that they can take care of themselves? Maybe they need just a little bit of assistance and community. In that case, an assisted living community can be a helpful option. If your loved one is suffering from Alzheimer’s or any other form of dementia, you can also look into memory care homes. In any case, discover all the different options that are available to your loved one with Senior Care Center. Accountability: Is this person accountable for their actions to a larger organization or body of workers? Should something happen (an accident, a mistake, or even an abuse) to your loved one, are you able to report the matter to a supervisor or board? Character: Does this caregiver seem happy to help your loved one? Do they have a smile on their face or have a good attitude towards your loved one? Can you tell if their actions carry the amount of care that your loved one needs? Does this caregiver treat your loved one with respect? Experience: Does this caregiver have the necessary skills and background to complete these tasks? Does the caregiver have the tools and resources to help your loved one in an emergency? style=”font-weight: 400;”>There are other sources such as personal care agencies, home health agencies, care homes that can help you find caregivers. Some of the benefits of hiring a caregiver through agencies include workers with the proper qualifications and credibility, having a sense of security and peace of mind, and knowing that the caregiver has accountability to the organization. Although hiring a caregiver through an agency can be a little more expensive than hiring a private caregiver, for certain situations, it can be worth it. If your insurance does not cover long-term care or home care, it is likely that you will have to pay out-of-pocket since caregiver services will not be covered. If you’re are planning to hire private caregivers, this is the most likely scenario. If you decide to find a caregiver through an agency, there may be a certain payment plan in place. Each agency with be different so it is important to call the agency and ask about what services are covered under a long-term insurance plan and how the caregiver is compensated. Whether Medicare or Medicaid covers your costs or not, depends on three major factors: the agency you chose, the state you’re in, and what kind of assistance you require (medical or non-medical). Generally, Medicare does not cover non-medical care costs, but there are exceptions. Medicaid can pay for your in-home care services but the regulations are different for each state since Medicaid is administered by the state. Learn more about how to finance long-term care costs for senior care here. For more articles on caregiving, senior health, and more, visit our blog and our Help and Advice page.